How To Choose The Right T-Shirt? This list, organized by weight class, will be the difference in whether your shirt becomes a favorite or a car wash rag. This might be quite a bit of information, but your brand deserves a well-educated decision. 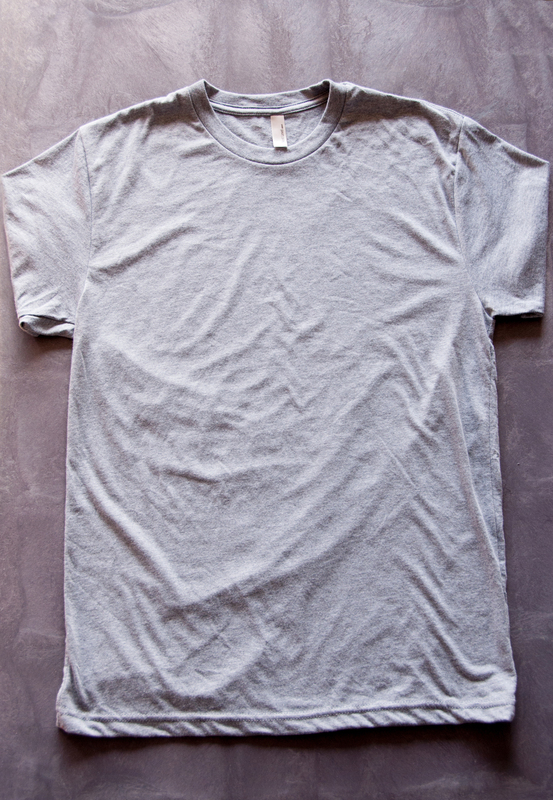 The Gildan ultra cotton t-shirt is the most used, classic fit, good for every-day activity type of garment. This is also the quality of shirt you’d find in the merch stand of a struggling up and coming band or at a convenience store with an image of a wolf or patriotic eagle printed on it. Yup, those. Gildan, Anvil, and Fruit of the Loom with few differences, are the same. They come from the same mills so these are essentially identical. Sure, it’s friendlier to your wallet and they screen print well, but it’s cut is boxy and the fit isn’t specialized. These warrant special attention when washing. They can shrink down a whole size and the sleeves tend to “wing out” or fit baggy. Nobody likes that. If you’re aiming for a garment that is more suited for a fashion-forward project, then we recommend you skip these t-shirts. If you’re looking for shirts for an upcoming family reunion or a co-ed softball tournament, then this is the shirt for you. If you just need a heavy standard fit t-shirt, these will last forever. Skim the aisles of Goodwill if you don’t believe us. All right, we got the most basic option out of the way so let’s get down to business. These are the garments we recommend for a fashion-driven clothing line. If you’ve set foot on any college campus across America, you’ve seen Comfort Colors in action. They are the choice when it comes to Greek life. The is the #1 brand for preppy styling. Perhaps the most recognizable brand using these blanks is Vineyard Vines. They offer a ton of color choices and that desirable soft, heavy fit. See for yourself, browse the catalog. Up first to bat is the Gildan Hammer tee. If your brand is leaning more towards the urban t-shirt feel, then this might be the right t-shirt for several reasons. It’s heavyweight and has the boxy fit but don’t let out that hesitant “hmm” just yet. 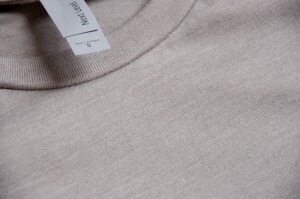 Unlike the Gildan shirt we discussed prior, this garment won’t shrink badly and is as durable as those vintage Nokia brick phones. We’re talking quality and longevity. Brands like Supreme and The Hundreds use this shirt. The Hammer tee is better for cooler climates because they’re heavy. This is why they’re more widely used on the east and west coast for so many skate and streetwear driven brands. Weighing in at 4.5 oz of ring-spun softness and born and bred in the good ol’ USA is the American Apparel 2001. Some would say that this is the ideal weight for a t-shirt. Made in downtown Los Angeles, this is the company that started the revolution for a better fitting tee. Every hip and trendy clothing line was screen printing on these until other blank companies took notice and cashed in with cheaper versions of their own. The American Apparel 2001 has the best and most unique color choices. Even American Apparel’s primary color options look better than the other brands. The shades of color are just right on the money. Worth noting, Canvas’ color swatch comes close to AA’s. (We’ll touch on this in a bit). These shirts screen print well using plastisol inks and they look even better with premium water-based and discharge inks. However, due to its tubular construction, these can shift a little after a wash causing them to lose their original shape. Other brands like Canvas and Next Level have side seems which makes a huge difference in maintaining their fit. Even with some of the cons, you can’t go wrong with this brand. It is the quintessential brand of the American hipster and even though they may get a bad rep here and there, they know their clothing. The name recognition and perceived value also makes these a good choice if you’re planning to sell your shirts at a premium. District clothing is set up to be an economical choice to Bella+Canvas, Next Level, and American Apparel offering fashion forwards, slim cuts, and styles for the young hearted. District’s price definitely won’t break your bank as they are the lowest priced fashion brand. For the price, their fit is nice but where they fall short is in the wash. Results like shrinking can be unpredictable unless you hang dry. We wouldn’t say reliability is a strong suit of these garments. This wouldn’t be our first choice unless you’re in dire need to have a retail/fashion type shirt on the cheap. However, we can say that District does make a respectable hoodie and their blends are nice. They are cheaper than Gildan’s, they have a nice fit, and are soft ring-spun cotton. The Anvil 980 was also made to rival Bella+Canvas, Next Level, and American Apparel. The previous review pretty much applies to this one, too. It costs less and has a much smaller color selection. We will say that their blends are worth checking into because they’re quite nice and a bit cheaper than Bella+Canvas or NextLevel. Even better than the 100% cotton shirt is their CVC t-shirt. It’s softer and has a lesser tendency to shrink. If you’re looking for a brand with a ton of bang for your buck, Next Level is your answer. Their 100% cotton and blends feel amazing and they come in some great colors too. If you’re launching a brand for people that are fashion conscious or into fitness, this is definitely one to consider. We screen print on a lot of Next Levels because our clients love the quality, fit, and price point. This brand also has many different choices when it comes to garments for women so a lot of boutiques and premium brands print on these. Next Level has established themselves as one of the best values for screen printing. This manufacturer has some excellent garment and color choices. They aren’t quite as fitted as the Next Level shirts but they do feel lighter at 4.2 oz. and this is because their knit isn’t woven as tight. If you’re like some of us here at Oh Boy, you might be in between sizes. It can be somewhat frustrating finding a shirt you like, but just doesn’t fit right. Well, a great thing about Bella+Canvas is that their shirts are a bit longer. So if you’re a medium but medium shirts usually fit shorter on you, Bella+Canvas has you covered. Yes, pun intended. Bella+Canvas is pretty interchangeable with Next Level but they have a much better color selection. They have some unique garments that could definitely add some nice variety to your brand. Bella+Canvas is also budget friendly. So we’ve reached the end of our journey of discovering the right t-shirt for your brand. Let’s recap. Don’t buy Gildan or Fruit of the Loom 100% cotton unless you have a “one-time” use sort of thing planned. Use the Gildan dry/blend instead. 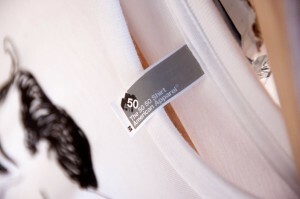 It’s is a nice shirt for the “standard” category. The fact that it’s 50/50 cotton poly makes it less prone to shrinkage. A good choice when you just need a classic fit, good for everyday use t-shirt on the cheap. Use Anvil or District if you need a fashion fit shirt that’s economical. If you’re starting a streetwear brand and want that heavy boxy fit, go with the Gildan Hammer tee. The strongest brands on this list are Next Level and Bella+Canvas. Their catalog is vast and you’re sure to find something you like. They have a great selection for blends, color choices, and ladies fashion. This is a really strong, if not, the best choice for starting your brand. These brands are also our top sellers. We know this is a lot of information. A clothing line is a serious business and it requires serious research. We compiled this list as a screen printing company that sees these shirts every day. We have plenty of experience when it comes to how these t-shirts fit, print, and most importantly how they will help your brand. If you’ve made a decision and would like to use one of these brands for your custom printed t-shirts, get a quote! some great suggestions, Thanks for sharing it. very nice article just what I was looking for. A proper t-shirt is important because some inks won’t stand out on certain tees. 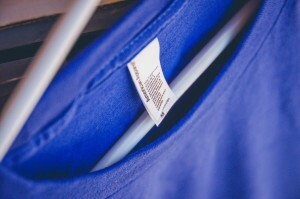 When designing light tees, bright colors may not display efficiently on the fabric. I like to stick to 100%, I normally buy slightly bigger to accommodate the shrinkage. Mixes are still pretty good and fit well. I’ll take your tip and stay away from Hanes. It makes sense that you would want to be careful when choosing what shirt to use for a street wear brand. I think it’s a good idea to go with something with less cotton, since you don’t want to risk anything shrinking. That could make your brand look bad! 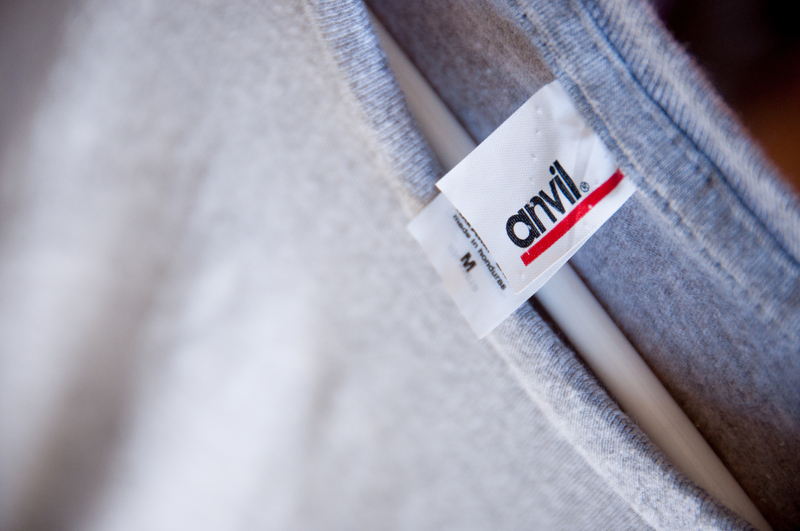 I was told from a place that I am ordering t shirts from that the 980 anvil t shirt is out of stock and they are replacing it with the gildan 640 t shirt. They say that they are the same price, is that true? Those shirts are comparable in price and style. The Anvil is better.